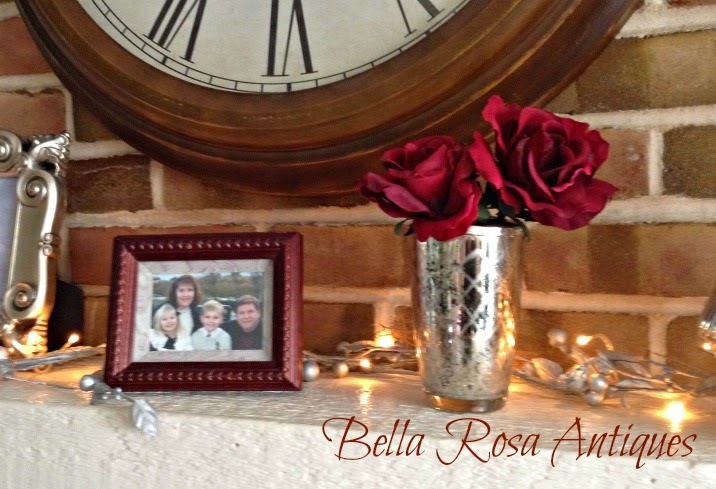 This year I decided to go shiny and bright for my Valentine mantel. It worked for Christmas, so why not? 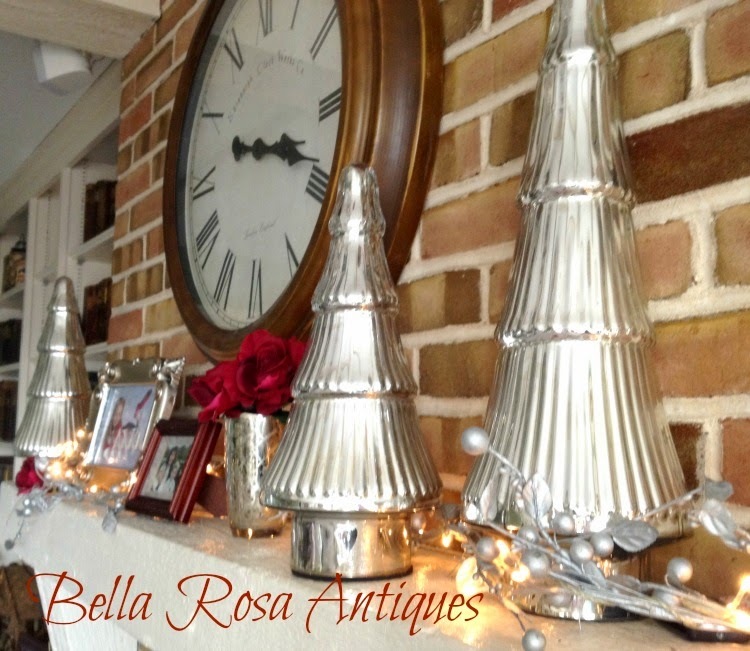 I moved these mercury glass style trees from my dining room to the living room and placed them on the mantel. After all, the Northeast is still pretty cold, all the way up until the end of March. (They were found at my favorite thrift shop in the woods near our lake house). Along with those I brought in a silvery pre-lit garland (from an after Christmas sale at Target many years ago.) Gotta love those sales! This may be the first year I did not incorporate any vintage! Gasp! While I was on my trip to see the Dancing with the Stars Live Tour, which was held next to an outlet mall, I came across this "LOVE" decorative piece. Not old but it adds in a vintage STYLE. And I keep thinking about it! Why didn't I buy it? The hubby and I talked about making one. Maybe it will be ready for the next Valentine's Day! 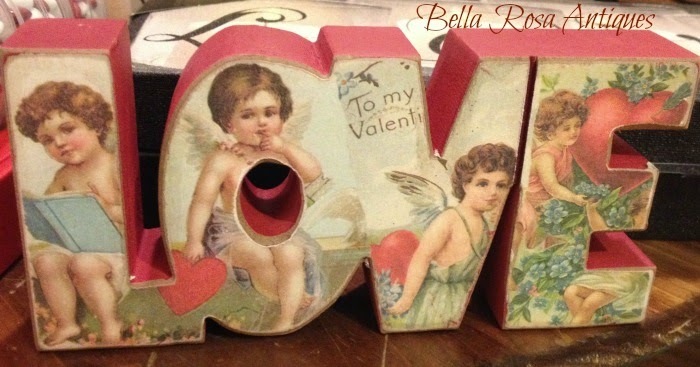 What's on your mantel for Valentine's Day? Linking to the Fabulous Friday Party with Maria. Your mantel looks so festive. 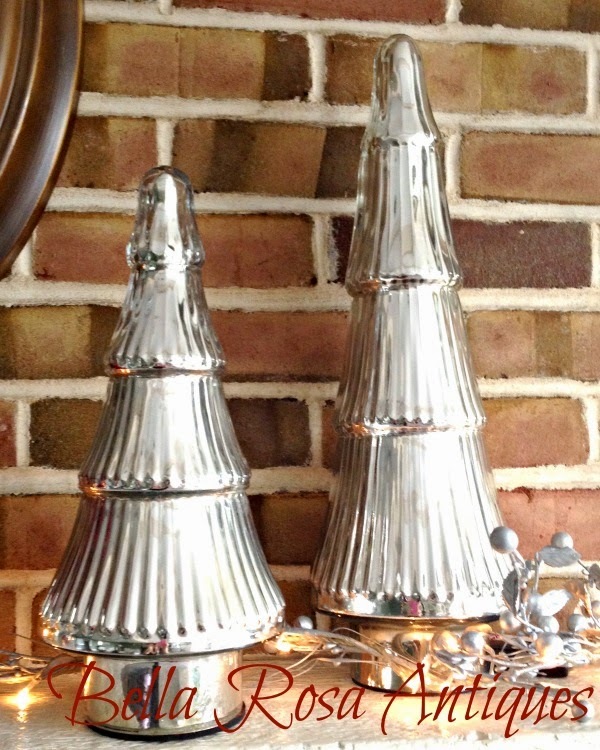 I love mercury glass anything! What a clever idea to use the toothbrush holder as a vase. Oh, it all looks so lovely! The little Love sign is adorable, I think you could definitely craft something similar:) I have some vintage Valentine postcards that I usually put out for V day but that's pretty much it. Have a lovely day!